The project “JustNow – A Toolbox for Teaching Human Rights” was created in response to internal evaluations and requests put forward by organizations and schools that previously participated in the Model International Criminal Court (MICC) project. The aim of the “JustNow” strategic partnership is the development of methodological-didactical materials relating to human rights education, combined with simulation game and diversity learning in non-formal and formal youth educational work. All project partners have been cooperating for over six years in organizing the MICC project in which young people simulate the final phases of historical war crime trials cases. MICC consists of intensive workshops on human rights, historical background of specific conflicts and training in criminal law, and is consistently evaluated by participants as an intensive and lasting learning experience. “JustNow” educational materials will allow teachers and youth workers to apply some of the MICC-inspired methods in the classroom, raising students’ awareness of various human rights and international criminal law issues in the process. Development of methodological-didactical materials of (historical) human rights education with elements of game simulation and additional methods of diversity learning for use in non-formal youth education. Fostering open and innovative education in cooperation with educators and youth to understand their needs and expectations. Organizing multiplier events in four countries (250+ participants). Reaching several thousand people with the JustNow open educational resources. This interactive learning platform is designed to support teachers, youth workers and young peer educators to actively create and use learning approaches for human rights education, which are part of the MICC project. In order to make the abstract subject of human rights accessible to young people and relate it to then own life situations, the learning platform offers different materials for different types of learners. The platform offers activity plans, exercises and timelines, as well as audiovisual content such as short animation movies which will help young people learn about human rights, diversity, basic democratic values and the rule of law independently or with the help of an educator. With the innovative approach of small-scale learning modules, this toolbox allows everyone to implement needs-tailored, innovative and engaging educational workshops. The four project partners from Germany, Croatia, Netherlands and Poland will organize multiplier events in their respective countries for local and foreign participants during 2018 and 2019. The primary goal of multiplier events is that the audience gets to know the learning platform JustNow. The participants will be trained to use the methodological materials in their work contexts, i.e. to prepare their target groups adequately, to select the appropriate modules, to carry out activity plans and to ensure follow-up activities with their participants. The four partners from Germany, Croatia, Netherlands and Poland have sound, long-lasting experience in processing the mentioned topics for non-formal and formal educational settings. The strategic partnership consists of four European organizations. One reason is the expertise of these partners in the fields of work but at the same time, the intercultural and multi-dimensional work mode will reflect on the learnings materials. Croatian Educational and Development Network for the Evolution of Communication (HERMES) is a non-governmental, non-profit organization with activities throughout entire Croatia, and in the wider regional area of former Yugoslavia. The mission of HERMES is education for democratic citizenship, through developing and applying innovative (non-formal) educational programs based on promoting non-violent communication methods such as structured and critical thinking, active listening and radical empathy as conflict resolution/prevention tools. HERMES’s activities revolve around using applied debating skills for the purpose of fighting discrimination, contributing to active participatory citizenship, raising awareness about human rights and facilitating the building of an open and inclusive democratic society. The mission of the International Association for Intercultural Education (IAIE) is best described in terms of its main aims and means. The main aims of the IAIE include: (1) To examine the implications of the societal contexts of education and the relationship between society, nation state and the international contexts and the situation of individuals, groups and minorities within them. (2) To contribute to the development and implementation of intercultural education and issues of education in multicultural societies. (3) To promote the exchange of information, knowledge and materials about all relevant issues concerning education in multicultural societies among teachers, teacher trainers, and professionals working in curriculum development, research and educational policy. (4) To initiate, react and respond to activities in the field of education of international and national organizations. The Krzyzowa Foundation for Mutual Understanding in Europe with its International Youth Meeting Center, Memorial Site and European Academy is a politically independent, non-profit organization. It has experience in the field of non-formal education for more than 25 years. Because of the history of the Krzyzowa estate that the foundation calls home (the Kreisau Circle, a German resistance group against Hitler met there three times in 1942/43), it has a high expertise especially in political and historical projects of non-formal education. Topics like resistance, international relations, civil society development and Europe are in the center of the work in this area. The Foundation has also a lot of experience in realization of various art and sustainability projects. The Kreisau-Initiative e.V. was founded in summer 1989 by citizens of East and West Berlin in order to support the set-up and maintenance of an international youth meeting center in Krzyżowa, Poland. For more than 29 years, the Kreisau-Initiative is organizing workshops, trainings and meetings with participants coming from all over the world, belonging to different generations and having different educational and social backgrounds. Moral courage, social and political engagement, commitment to democracy and human rights are the main focus of the Kreisau-Initiative work. Thematically, the projects fall into the fields of contemporary history and human rights, inclusive education, sustainability and inter-generational dialogue. 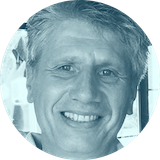 Barry van Driel is a social psychologist by training, who has been a senior staff member at the Anne Frank House since 1993, responsible for project development and international teacher education. He is the President of the International Association for Intercultural Education (IAIE) and Senior Editor in Chief of the academic journal Intercultural Education (Routledge). He is an expert consultant for the European Commission’s WG 2020 working group on citizenship education and helps draft official reports for the European Commission on related topics. 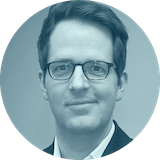 Jens Henning Fischer is a specialist in international relations and international law, Jens studied law and political science in Passau and Berlin. Jens is the head legal trainer of Model International Criminal Court project and responsible for the development of cases. He is a professional Berlin based communications trainer, coaching at enterprises, universities, and schools. He was Chief Adjudicator of the European Universities Debating Championships 2006 and is a faculty member of various international speech and debate academies. Lina Jurjević is the vice president of HERMES. She was the main coordinator of the Memory Walk workshops implemented within the ‘Historija, Istorija, Povijest – Lessons for Today’ project. Now she is coordinating educational activities of Anne Frank House in Croatia (‘Anne Frank – A History for Today’ traveling exhibition, Youth Network). Lina is also a human rights trainer and coordinator of the project ‘Model International Criminal Court Western Balkans’. As she holds degree in history and art history, she is very interested in history related projects, especially when their aim is to improve understanding and build empathy among people. 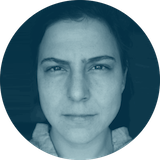 Ines Lambert, a member of Croatian Educational and Development Network for the Evolution of Communication – HERMES, is a teacher by profession, but has also been working in design, animation, video and audio editing for a number of years. Her work history includes being the production coordinator of a web TV station, technical coordinator of a documentary film production house, as well as independently producing hundreds of audio/video and graphical materials for a number of Croatian and European NGOs and cultural institutions. 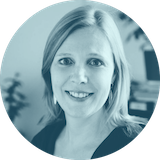 Nina Lüders is executive director and program manager “Contemporary History and Human Rights” at Kreisau-Initiative e.V. in Berlin. She holds a Master’s degree in Political Science from Free University of Berlin. She is a certified trainer of Betzavta (Hebrew for “Togetherness”), an innovative conflict-based educational concept from Israel. Nina’s current focus of work lies in human rights education, human rights in conflict situations and democracy education. She pursued further studies in Childhood Studies and Children’s Rights at Free University of Berlin. 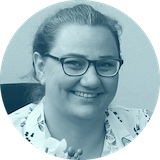 Dr. Maja Nenadović is a member of the Board of Directors of the International Association for Intercultural Education (IAIE). Maja has 17 years of experience working as a debate coach, public speaker, political consultant, researcher, human rights & advocacy trainer and identity de/construction educator in more than 40 countries worldwide. She was also the coordinator of the EU-funded Anne Frank House project ‘Historija, Istorija, Povijest – Lessons for Today’ from 2014 – 2017. She holds a PhD in Political Science from the University of Amsterdam. Fiona Passantino is a Visual Storyteller; taking complex concepts and making them understandable with graphics, animation and concise text, delivered via innovative, mobile-first platforms. Starting out as a visual artist in Vienna, Austria, Fiona made large-scale physical installations and illustrations. 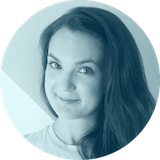 She entered the digital world as a game and website designer and online learning specialist in London, Budapest and Amsterdam. 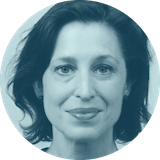 She became a Creative Lead and Head of Online Training in Silicon Valley, and Senior Communication & Innovation Advisor for a large investment bank in The Hague. Today, Fiona runs Storylnz, specialized in Corporate Storytelling and Visual Communication. Anna Rabiega is a natural born teacher. 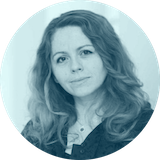 She holds two Master degrees: in International Relations from the University of Wrocław, and in Economics from the Lazarski University in Warsaw. She has been teaching social studies and economics for over a decade at one of the best high schools in Poland – the Community High School No. 14 in Wroclaw – where she saw almost a hundred of her students triumph in all kinds of national competitions in the field. Anna is also an author of a number of lesson plans for teachers, currently working on a comprehensive textbook in social studies. Kerim Somun studied Public Administration at the University of Sarajevo. In the past eight years, he worked for several national and international organizations mostly in Southeast Europe. 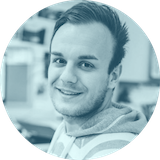 Currently, he is working for Kreisau-Initiative e.V. as Project Coordinator in Department for Contemporary History and Human Rights, where he is coordinating the MICC and JustNow project. He participated (as participant, trainer, and lecturer) in more than hundred different trainings, seminars, conferences and professional exchange programs, which improved and fulfilled his professional and personal skills, profiling him as a competent trainer and leader.